Wondering what fun things you can get into during your vacation in Sanibel Harbour? We've created this local area guide to help highlight the best things to do, see, and experience in and around Sanibel and Fort Myers. Discover our favorite local breweries, restaurants, shopping malls, outlet malls, and more. We also have listed the best local beaches, golf courses, wildlife centers, and parks where you can spend your beautiful sunny days while you're here. The fun things to do in Sanibel & Fort Myers are endless and there is something for everyone to enjoy. Check out upcoming events and attractions in the area on our guide as well. Whether you are on vacation alone or with the whole family, we have plenty of ideas and suggestions for you. One of the joys of staying in a vacation rental home is having a kitchen and cooking your own meals. Here is a selection of some of our favorite grocery stores, including a number of health and specialty food stores. 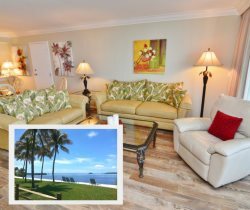 There are many options for entertainment near our Sanibel Harbour vacation rentals. Simply browse through our listing of performing arts centers and movie theaters in Fort Myers and Sanibel Island. If you’re looking for first run movie options, check out the Regal Coconut Point Stadium 16 in Estero, the Ft. Myers Beach Theater or the Regal Bell Tower Stadium 20 in Fort Myers. The Barbara B. Mann Performing Arts Center provides an excellent opportunity to enjoy musicals, symphonies, and other live events. The Broadway Palm Dinner Theatre pairs a fun, Broadway-style show with a full lunch or dinner.